This path was created by John B Howard. The last update was by UCD Library. This collection consists largely of letters from Roger Casement to Captain Hans Boehm, during Casement's stay in Germany in 1915, as well as some associated material (photographs, medals) relating to his first contact with the German authorities in November and December 1914 and the formation of the Irish Brigade in 1915. The entire contents of this collection can be viewed at the UCD Digital Library. See also the interactive visual timeline of this collection. Discussion of "The Roger Casement Papers at UCD"
Version 14 id 214293 of this page, updated 17 August 2014 by UCD Library. Created by John B Howard. 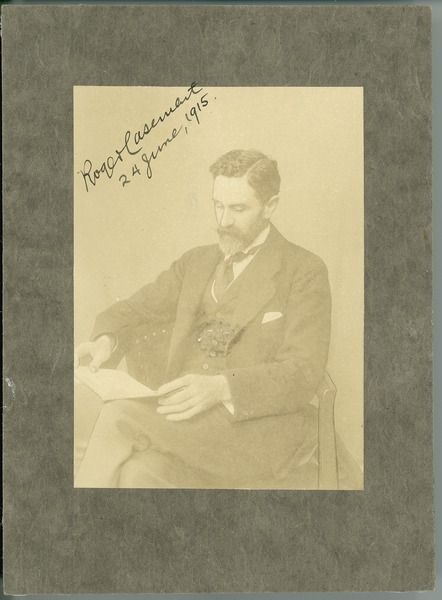 Roger Casement Papers at University College Dublin by UCD Library. Help reading this project. Published by UCD Library. Powered by Scalar.